Discover colorful beachwear, flowing sarongs, unique jewelry, local crafts, stunning pictures, shot glasses, coffee mugs, island art, island coffee, spices, soaps, coffee books, the coolest t-shirts and more! 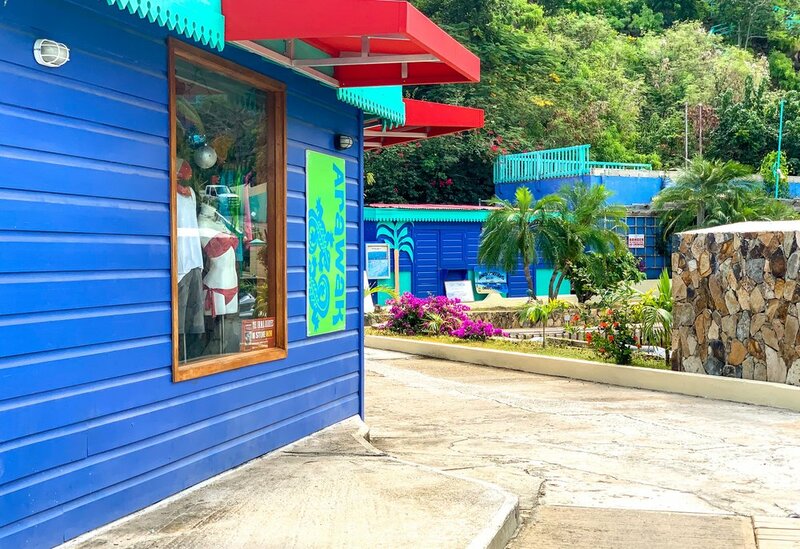 You can find Pusser’s Outposts all over the world and in the beautiful islands of the BVI. More info. Arawak Surf is located at the marina in Leverick Bay. More info. Located at the Top of the Baths. T-shirts and towels at the beach. Please remember that hurricane Irma destroyed Virgin Gorda and the rest of the BVI. More info. Located at Lee Road, The Valley, Spanish Town, Mr. Nice Guy has a little bit of everything. Electronics, clothing, mobile, video games, watches, perfumes, you name it. More info.